I smiled as I read the note from Mom that arrived in the mail along with a newspaper clipping about the importance of affectionate touching. I was a strange little kid sometimes. My parents tolerated it all. Embraced it really. 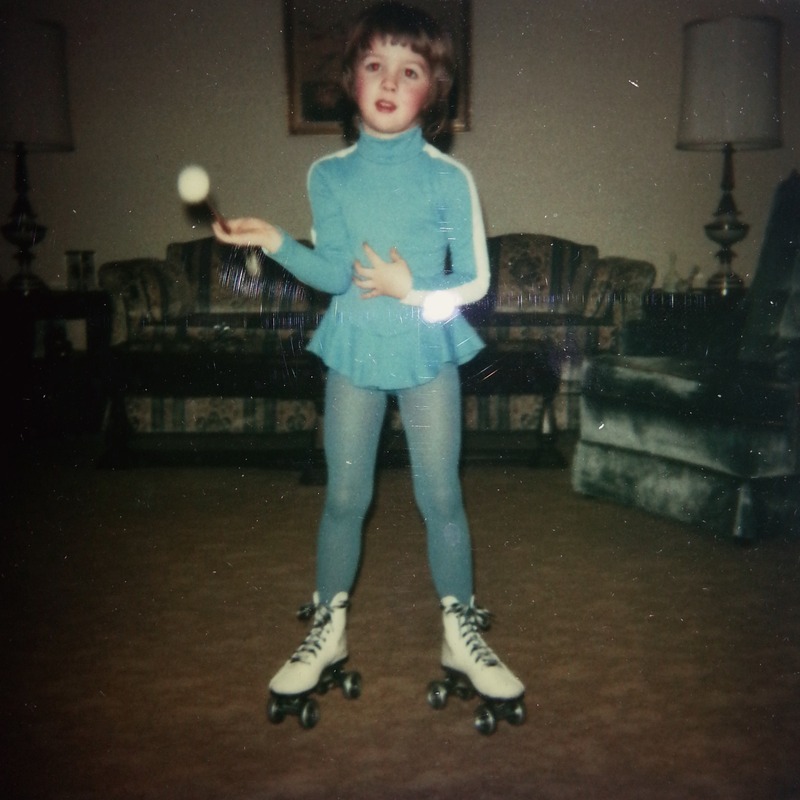 From the one-woman girl baton-twirling, roller-skating-on-the-living-room-carpet shows I would insist they witness to one odd little ritual I developed as I grew, Mom and Dad never made me feel like a weirdo. Even if I was. 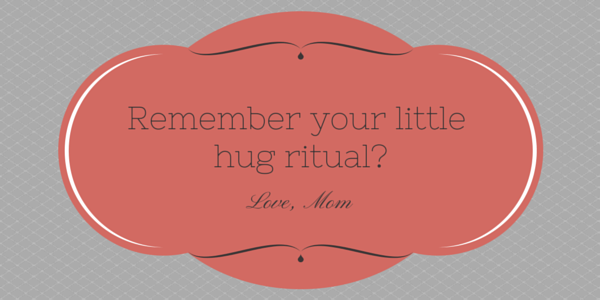 Wanting my little family – Mom, Dad, Nana – to know, without a sliver of doubt, that they were the most loved, I doubled thirteen and started giving them twenty-six hugs per day. Every day. Some days, even if we had embraced during the day, I’d start fresh at night, squeezing each member of my family twenty-six times in succession. And if I didn’t see one of them for a day or two, yes, I would make up for lost time. Sometimes it was more like I was giving them the Heimlich then a hug. I don’t remember how I finally dropped the ritual. Only that it lasted for a really long time, and that my family patiently indulged me throughout. Today is Mom’s birthday. If you see her, please give her a hug from me to tide her over until our belated celebration next weekend. But just one warm embrace will do. She knows she’s loved. This entry was posted in Life stories and tagged 26 hugs, affection, childhood, Dad, hugs, Mom, Nana, OCD on February 20, 2015 by onechicklette.